Our range of products include casting cooling systems for foundries. Excel Engineering offers Casting Cooling Systems for Foundries. 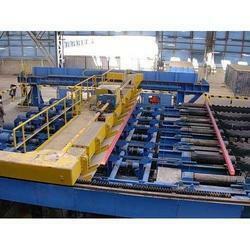 The Casting Cooling Systems for Foundries offered by Excel Engineering are highly effective. The Casting Cooling Systems for Foundries can be customized as per the client`s requirements. These Casting Cooling Systems for Foundries ensure optimum output delivery at the foundries.